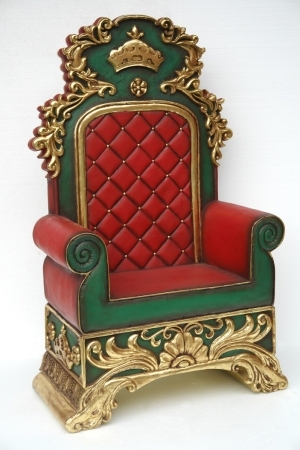 This small Santa Throne is ideal for children to sit on in a Christmas grotto. It looks great used with our adult sized large Santa Throne (JR 2455). This fabulous child size Father Christmas throne has all the decorative detail of the larger model. The back is decorated with a smiling Santa face and the rich Christmas colours look superb in a display or grotto.